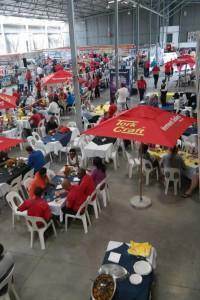 Vermont Sales’ held its annual Open Day at its new premises in Midrand. 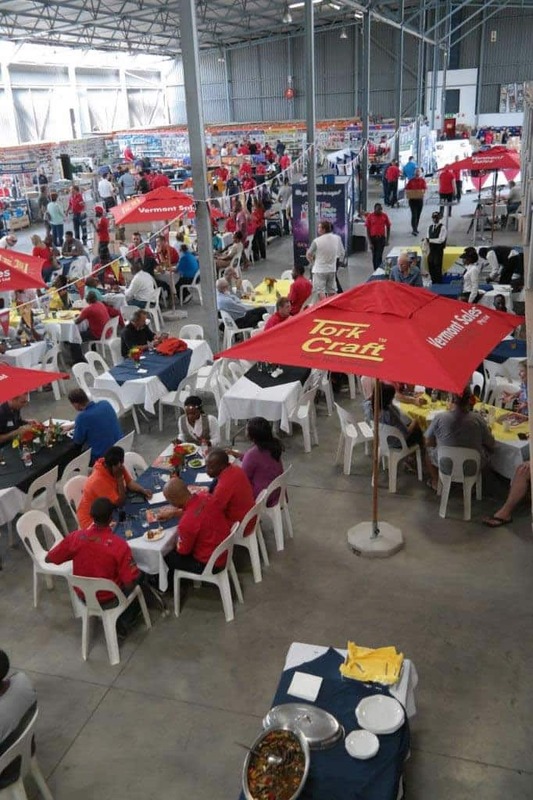 Vermont Sales’ held its annual Open Day at its new premises in Midrand in mid-March and showed off exciting new products and specials to clients. As always, Roland Hunt and his team didn’t disappoint. They extended their offering to clients by adding new brands to their existing arsenal. Product experts also demonstrated how to market and use new products. With Vermont Sales’ new building now in use visitors enjoyed an entire warehouse filled innovative products..
Year-on-year the open day grows in popularity and more foot traffic passed through the door during the two day event than ever before. Rawlplug is one of the world’s leading manufacturers of specialist anchoring and fixing systems used in construction, industrial and retail markets. With over 90 years of industry experience Rawlplug has constantly monitored and embraced changes in the market to evolve its range of products to satisfy both customers’ requirements and those of the ever changing markets it operates in. Vermont Sales includes the SawStop in its range – the world safest table saw. Hobbyists, contractors, cabinet makers, DIY’ers, celebrities and educators choose SawStop every day. It’s the no-compromise SawStop engineering that makes them a popular choice. Safety comes first followed by unmatched quality, precision and meticulous engineering. SawStop saws are built to last, to cut, and to protect. SawStop minimises injuries by stopping the blade within five milliseconds of contact. That is ten times faster than a car’s airbag. Ten times faster than your reflexes can respond to danger. When SawStop appeared on the market in 2005, the saws took the industry by storm. It addressed a problem that seemed unsolvable that most had accepted as the norm. The Centipede Sawhorse and Centipede Support XL is the ultimate portable work support system – a heavy duty table/workbench base or saw stand that sets up in seconds without assembly and folds into a compact, lightweight unit for easy transport and convenient storage. NES thread repair tools is a complete line of tools specially designed to repair any defect thread, internal and external. The company’s patented tools are universal in diameter and are pitched to give the user a comfortable, easy to use, fast and cost effective solution for any case of thread defect. Since 1976 Diamond Machining Technology (DMT) sharpening tools has been recognised worldwide for product quality, performance and customer service.. Like all DMT products, DMT sharpening stones are made in the USA and will produce excellent, consistent results. DMT’s diamond sharpening stones feature the most diamond per square inch in the industry and a proprietary process that ensures near-perfect consistency in grit size, engineered to be the flattest sharpeners on the market.